On our fourth day of summer vacation we headed back west to Munising, Michigan. A town we’ve become fond of the last three years. The lower shoreline of Lake Superior is filled with sandy beaches and gemstones around every corner, as well as plenty of hiking and boating adventures. A new addition to the area is the Pirate Cruise, a great addition to any laid back vacation in the Upper Peninsula. Cole is a huge fan of pirates. We even built a cardboard pirate ship about the size of a john boat in our backyard a few summers back and designed a whole birthday party around the treasure loving thieves. So, you’ve guessed it. Cole absolutely loved this adventure and Troy & I enjoyed watching him have a blast. 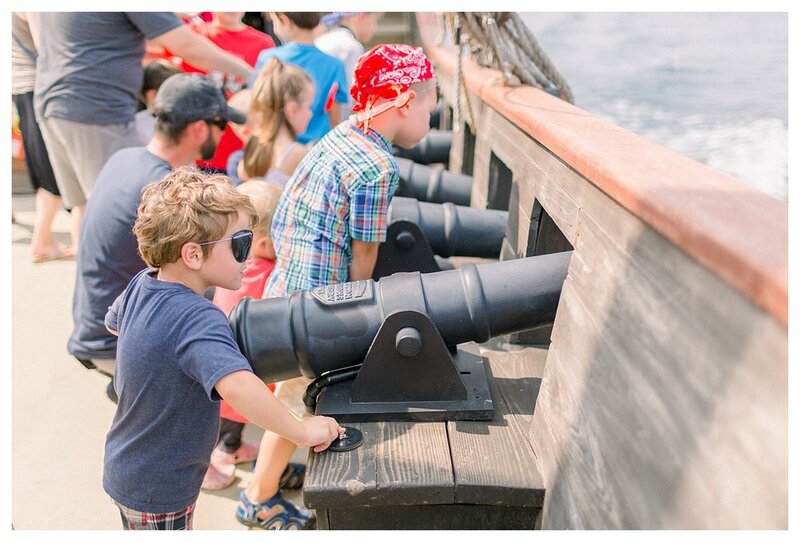 Speaking of blast, they had a real shot gun sized canon that they fired off and had water canons for the kids. The first mate and other pirates had the kids engaging in sword fighting, limbo, hide n seek, being tied to the post, as well as spotting and reeling in a pirate chest full of treasure from out in the middle of Lake Superior just after looking at the ship wreckage that you can see from the boat deck. It was a magical experience for him to play out his pirate dreams. The pirate ship was followed by playing at the beach and then settling in for the evening with a bonfire, s’mores, and family time. 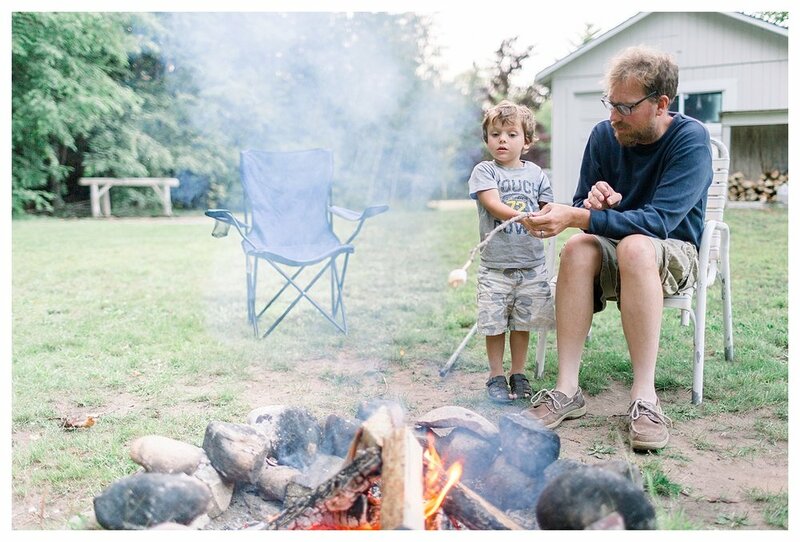 My favorite part of the whole trip was the beach in Au Train and that the owner of the motel built a fire for our family and even broke new limbs and whittled roasting sticks for us. These people really knew how to take care of the guests in their adorable Christmas Motel.